It’s time to discuss all the amazing news coming from Lucasfilm animation as only two fangirls can! Please welcome Grace back to the studio as she and Shay talk about everyone’s favorite cartoons in a galaxy far, far away! 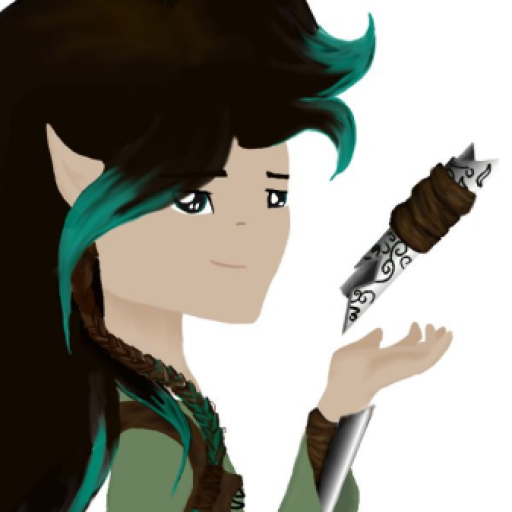 The Elven Padawan: From Erebor to Echo Base – #13 – Featuring special guest, Aceofstars16! Finally, another episode of The Elven Padawan podcast! In this episode, Shay interviews Star Wars fanfiction writer, Aceofstars16! Ace is also a HUGE Star Wars Rebels fan, so you probably already know where this is heading. Besides the interview (and obsessing over Rebels), the girls also discuss their Star Wars OTPs, social media, The Last Jedi, Mortis connections with the rest of the saga, and what the canon lifespan of a Twi’lek is. The Minds Behind “Game of Thrones” are coming to A Galaxy Far, Far Away! Announced today on The Star Wars Show, yet another addition to the Star Wars films is in the works! This new series, separate from both the core Star Wars saga of the Skywalker family, as well as the up-coming trilogy from The Last Jedi‘s Rian Johnson, will be coming from David Benioff and D. B. Weiss, creators of HBO’s hugely popular series, Game of Thrones. No further details aside from the ones announced in this video are known yet, but information concerning this new series will probably be coming soon. SOLO: A STAR WARS STORY Official Teaser Drops! Star Wars fans got a real treat during the Superbowl today: Our first look at May’s Solo: A Star Wars Story!! If you’re like me, you’re always looking for more ways to work things related to your fandom(s) into everyday life. One of the ways to do this is by making crafts! You can make something fandom related by doing pretty much anything, whether it’s painting on something, sewing, or rainbow looming. The possibilities are endless! While I’m not great at crocheting or making origami X-Wings, (which I did not find out by failing four times earlier today) there are several crafts I have done that turned out how they were supposed to, and allowed me to express my love for these stories and characters. Here are the supplies and directions you’ll need to make some too! It’s HERE! New trailer for the last season of Star Wars Rebels!! A brand-new trailer for the final few episodes of the very last season of Star Wars Rebels has just dropped, and it sure packs a punch!! New Star Wars Rebels episode titles, descriptions, and air dates!! More information concerning the last run of episodes of Star Wars Rebels season 4 has been revealed!! *On 1/16/2018, Lucasfilm publicist, Tracy Cannobbio, let everyone know via Twitter that the U.S. airdates for the second half of Star Wars Rebels would be officially announced soon, as much of what has been going around is false info. Therefore, the details in this article may or may not be true. Several new updates concerning Star Wars have hit the internet lately! The Elven Padawan: From Erebor to Echo Base – #11- Super Special “The Last Jedi” Community Episode!! In celebration of the premier of Star Wars VIII: THE LAST JEDI, there’s something really special going on with The Elven Padawan: a whole episode of your pre-TLJ thoughts! Shay asked for your thoughts on a few key things concerning THE LAST JEDI, including porgs, R2-D2 vs. BB-8, lightsaber colors, and more, and now she’s back with all your answers, compiled into a “questions-on-the-street” news channel style. But don’t worry, there are no spoilers here; all questions are speculations and personal opinions only, and all answers were sent back and compiled before TLJ premiered, so if you haven’t seen the movie yet, there’s nothing to worry about. *This post contains information that could be considered spoilers for The Last Jedi. First off, I’m starting with some of the many dedicated pilots, Admirals, Lieutenants, and soldiers who either lost their lives in this movie, or were part of the lucky few to make it out on the Falcon. Then I’ll write a little about the starfighters used in this galactic conflict. Kaydel Ko Connix: Promoted to Lieutenant for the D’Qar evacuation, Connix decided which supplies were priorities and made sure the escape ran in an orderly manner. Once aboard the Raddus, she resumed her role as operations controller, helping the pilots communicate with their commanders. She is from the planet Dulathia. Caluan Ematt: In its earliest days, General Ematt served the Rebel Alliance. He accompanied Leia on her recruitment of Poe Dameron, and has been watching the pilot’s career with great admiration. The defense of Crait was organized and led by him. Larma D’acy: Commander D’acy comes from a military family charged with the protection of the Warlentta system. Warlentta declined to join the New Republic, and its independent culture made an impact on Leia. When forming the Resistance, Leia visited to personally recruit D’acy. Amilyn Holdo: As a teen, Holdo met Leia while they served in the Coruscant Apprentice Legislator. During one of their path finding expeditions they often went on, Holdo discovered Leia’s involvement with the Rebellion, and later helped her find a way to warn them of an Imperial attack. Gatalenta, which is known for its poetry and compassionate, tranquil inhabitants, is her home world. Her uncommon clothes and hair color reflect her independent spirit, and her arm brackets depict star constellation patterns. As a Vice Admiral in the Resistance, Holdo was originally in command of the Ninka during the evacuation, but was moved to command of the Raddus after General Organa became unconscious. Her sacrifice of jumping to hyperspace through Snoke’s ship bought the Resistance valuable time to escape. Tallissan Lintra: Part of the Blue Squadron, 22 year old Tallissan Lintra, or Tallie, was one of the most capable pilots in the Resistance. She learned the basics of flying in an old RZ-1 A-Wing her father used on their farm. While she initially survived the evacuation of D’Qar, she was killed by Kylo Ren’s shots to the hanger bay. C’ai Threnalli: An Abednedo pilot like the late Ello Asty, Threnalli doesn’t speak Basic. He’s skilled at both star fighter and air speeder piloting. In addition to being Poe’s wingman, he is also one of the Resistance members Poe convinced to be part of his mutiny. Paige Tico: Cobalt Hammer’s ventral gunner, Paige is five years older than her sister Rose. Their parents, Hue and Thanya, gave them a strong sense of right and wrong. The First Order mined their homeworld of Hays Minor, as well as stole children for the Stormtrooper program, and tested weapons on its cities. After witnessing the horror of the First Order, the sisters left their home in the Otomak system to fight for the Resistance. Paige loved animals, especially Fathiers. She was the only one able to drop her pay load of bombs, allowing the rest of the fleet to escape. Rose Tico: As a mechanic, Rose’s innovations include a system that makes Resistance Bombers and escape craft harder for enemy sensors to detect. Her ring with the Rebel crest is an antique once used to show support for the Rebellion in the halls of the Imperial Senate. The matching medallions that her and her sister Paige wear show a map of the Otomak system, and are made of Haysian smelt. Idrosen Gawat: Captain Gawat joined the Resistance after retiring from his job as leader of the planetary defense forces that patrolled the space in the Mykapo system. He was another leader lost in the command bridge explosion. MG-100 StarFortress: Also known as a Resistance Bomber, this ship began being produced towards the very end of the Galactic Civil War. Because it was no longer needed for combat for many years, people then used its huge bomb magazine as a repurposed cargo drop for wildfire prevention and for dropping mining explosives. When used for proton bombs, the clip, as it’s called by the crew, can hold 1048 explosives. Since there’s no gravity in space, the pay load is magnetically drawn to its target once released. Helping with the retreat were the Cobalt and Crimson squadrons; they were previously unavailable for the attack on Starkiller because they were delivering supplies to others opposing the First Order. Each ship has a crew of five: a pilot and flight engineer in the cockpit, two gunners operating the rear and ventral cannons, and a bombardier controlling the targeting pedestal. V-4X-D Ski Speeders: These ultra light, low-altitude speeders were manufactured before even the time of the Rebellion. Also known as skim speeders, these ships deploy a halifoil for stabilization and maneuverability. The Raddus: One of the last ships designed before the end of the Galactic Civil War, Leia’s flagship served in the New Republic fleet under the name Dawn of Tranquillity. When it entered the service of the Resistance, Admiral Ackbar suggested they rename it in honor of Admiral Raddus, who served in the Battle of Scarif. It has heavy deflector shields, and so is placed in the back of the retreat to shield other ships from fire. The Resistance In General: Being so under-staffed, people in the Resistance don’t have a set role. Soldiers are technicians, pilots are medics, and gunners become mechanics as needed. Members are a mix of Alliance veterans, ex-leaders of independent defense forces, and New Republic converts. While the Raddus had enough room for all members to escape on it, three other ships, the Ninka, the Vigil, and the Anodyne, also held fighters so that all of the Resistance was not reduced to one target. Now I’ll move on to the First Order command that get ignored because of others like Hux and Phasma, as well as Snoke and his guards, and the Supremacy. Armitage Hux: Although he has the title of General, his ability to communicate directly with Snoke suggests the higher rank of Grand Marshall, which Snoke will not grant him. Before he was eliminated by Hux himself, his father, Brendol Hux, was highly ranked in the First Order, credited with being the one to propose the idea of taking conquered world’s citizens for Stormtrooper training. Tritt Opan: Captain Opan has worked with both Brendol and Armitage Hux as an assassin and saboteur. Moden Canady: During the time of the Empire, Captain Canady served aboard the Star Destroyer Solicitude. Now that he’s in his 50s, most of the people in his command on the Fulminatrix are many years younger than him. He is greatly displeased with their failure to work together effectively, though he can appreciate their zeal. When Paige drops her payload on his ship, he accepts his defeat rather than trying to flee. Supreme Leader Snoke: Though he is not a Sith, Snoke is extremely strong in the Dark Side of the Force. He decided to take Ben Solo as his apprentice because he believed only someone from the Skywalker bloodline could destroy the last Jedi. He has a ring with writing from the Four Sages of Dwartii on it. The Four Sages were philosophers and lawgivers of the early Republic. On top of this ring is rumored to be obsidian from underneath Vader’s castle on Mustafar. He was also the leader of a mysterious group known as the Attendants. Elite Praetorian Guards: Named for the real-life guards of Roman Emperors, this group of eight deadly fighters served as Snoke’s bodyguards. The eight were actually four sets of pairs with the same electro weapons, an Electro Bisento, a Vibro Voulge, Twin Vibro Arbir Blades, or a Bilari Electro Chain Whip. These weapons are high tech versions of ones found in primitive societies across the galaxy. Their armor is deliberately symbolic of the Emperor’s Royal Guards, and contains conductive wirepaths that create a local magnetic field that can deflect blaster fire, and even a lightsaber will glance off if it is not a direct hit. This comes at a great cost, as the magnetic field is very painful to the user. While their origins remain a mystery, their name dates back to the 14th Atrisian Emperor of Kitel Phard. Stormtrooper Executioner: Any Stormtrooper could be found having to preform this role depending on that day’s assignment; they weren’t taken from a special group. Preforming this task was even considered a test as to whether you would make it in the Stormtrooper corps or not. Captain Phasma: Phasma grew up on the harsh and primitive world of Parnassos as part of a tribe. When she met Brendol Hux after he crashed his Star Destroyer near her home, he was looking for warriors to recruit for the First Order. Immediately, she jumped at the chance to get off world. Her skill with melee weapons is a part of that past. While Finn and Han tried to get rid of her by putting her into a trash compactor, she used anti-armor acid to melt the door and escape. Then she went to work removing anyone who knew about her treason of lowering the shields. Even though she appears loyal to the First Order, she would betray them in an instant if it suited her needs. Ansiv Garmuth: Tipped off by BB-9E, this Colonel of the First Order Security Bureau informed Phasma of the intruders. The Attendants: Mute alien navigators from the Unknown Regions, they created the hyperspace paths used by the remainder of the Empire. They also designed and operated the viewing oculus in Snoke’s throne room. The Supremacy: The only Mega-Class Star Destroyer in existence, Snoke masked its sensor by hiding it close to highly energetic stars in the Unknown Regions. The crew numbered in the millions, and was made up mostly of those too young to serve in combat positions. Yes, it is time for Porgs! And crystal foxes! And Fathiers, which I think are really cute, but don’t get as much attention. 😦 And if some of you have been wondering what Lanais even are, wonder no longer. Lanais: Distant relatives of Porgs, females are called Caretakers and carefully keep the ancient island of Ahch-To in order. The males return only once a month with fish, and are called Visitors. Their culture is very musical; they sing through whistles and throat sounds while using their tools as impromptu instruments. Although they have no connection to the Force, they can tell what a newcomer’s intent is. Their non-Basic language consists of spoken words and hand signals. Porgs: With great swimming skills and vision, Porgs are good at catching fish. A baby Porg is called a Porglet, and a group is supposedly called a “murder”. Their noise was made by mixing the sound of doves, turkeys, and chickens. They are based off of the Puffins that live on the real-life Skellig Michael Island. Vulptex: Plural being Vulptices, these creatures get their name from the Latin word for fox, Vulpes, and the word for the corners of a polyhedron (a shape associated with crystals), vertex/vertices. A group is called a skulk. They have great eyesight, and have coats made of crystals due to eating things on the crystal salt planet. Fathiers: Also know as “space horses”, these creatures are found across the galaxy, and their homeworld is unknown. They are bred for their speed and endurance in races, often being mistreated. Standing over nine feet, people are surprised at their height. During the Galactic Civil War, the Rebels used them occasionally for hit-and-run missions. From Ahch-To to Crait, there’s more to these new locations than meets the eye. Cantonica and Canto Bight: Away from the conflict that is now sweeping the galaxy, this world has given corporate enterprises the freedom to govern their own territory. It is mostly a desolate, desert world, but a huge sum of money has been spent to create a fake ocean, and city: Canto Bight. Property crime is not tolerated here, and things like littering, parking in the wrong place, or vandalism, are punished more severely than on other worlds. In the casino, games such as Sabacc, Binspo, and Dejarik are frowned upon in favor of more upclass games such as Savareen, Zinbiddle, and Hazard Toss. Crait: Scouted by Bail Organa as a possible base location for the Rebellion, Crait had to be abandoned after someone blew their cover. The mineral world is covered in a permanent layer of salt, with red amirite underneath, and an underground ocean that creates cave systems. It may resemble an ice world, but Crait is actually temperate. The Mining Guild once had operations here, but it has since been abandoned. Though old, the base does have shields, which prevented an orbital bombardment. Days last 27 hours, and it takes 525 days for it to orbit its star, also named Crait. Ahch-To: From the time of the Republic, there had been many debates about what planet the Jedi Order had begun on. Some said Jedha, or Coruscant, while others argued Tython or Ossus. Luke was finally able to uncover its location in the Unknown Regions. Key in locating it was studying Uneti saplings, a rare type of tree that resonates with the Force. DJ: A thief who steals whatever he needs to survive, DJ purposely gets arrested, claiming the jail is the only place he can get any sleep without the police bothering him. He is also a slicer, creating his own computer spikes and bypass keys. His motto is “Don’t Join”, because he believes all causes just use you for their own purposes. Temiri Blagg, Arashell Sar, and Oniho Zaya: All three children work for Bargwill Tomdar by taking care of Fathiers. They were abandoned by people who lost gambles and are inspired by tales told by travelers. Master Codebreaker: The Codebreaker Finn and Rose were supposed to find, he keeps his identity a secret. But he has put his personal data in the public system for anyone who can crack the code and become the new Master Codebreaker. No one has ever come close. In the casino, he is banned from any electronic form of entertainment. Poe wears the wedding ring of his late mother, Shara Bey, on a chain around his neck. AT-M6 stands for All Terrain MegaCaliber 6, which are those huge walkers used on Crait. The Resistance treats their droids like sentient beings, not property. The First Order treats them like droids, which results in cold personalities. The Resistance has found that pairing old R series units with newer BB units causes them to learn from each other. A standard squad of Stormtroopers is ten troopers. They train in groups called batches. Finn was in batch eight, which had graduates on the Supremacy. And lastly, I found out this little guy’s name is Thamm. He emits a pleasing aroma. What is your favorite new character or creature from The Last Jedi? The Last Jedi Visual Dictionary, written by Pablo Hidalgo.